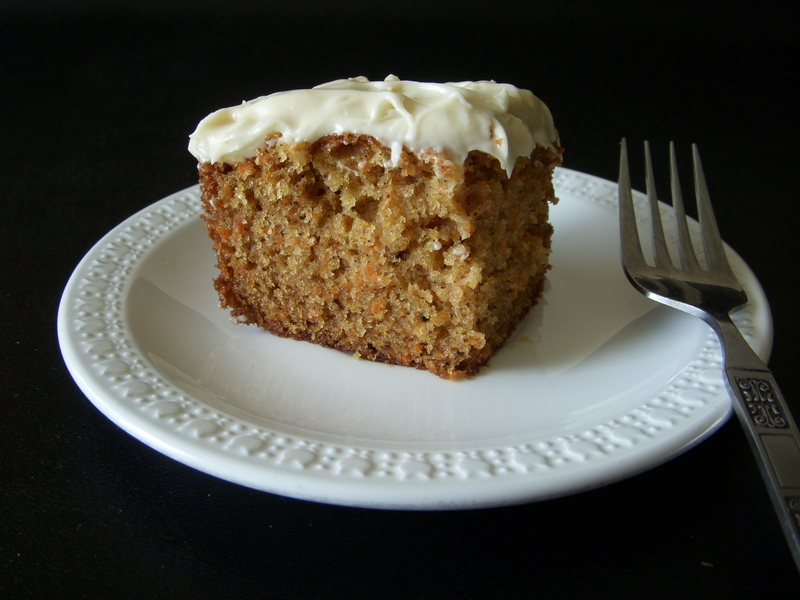 Carrot cake is all about the spice, and I love spices. That and the cream cheese frosting, of course. 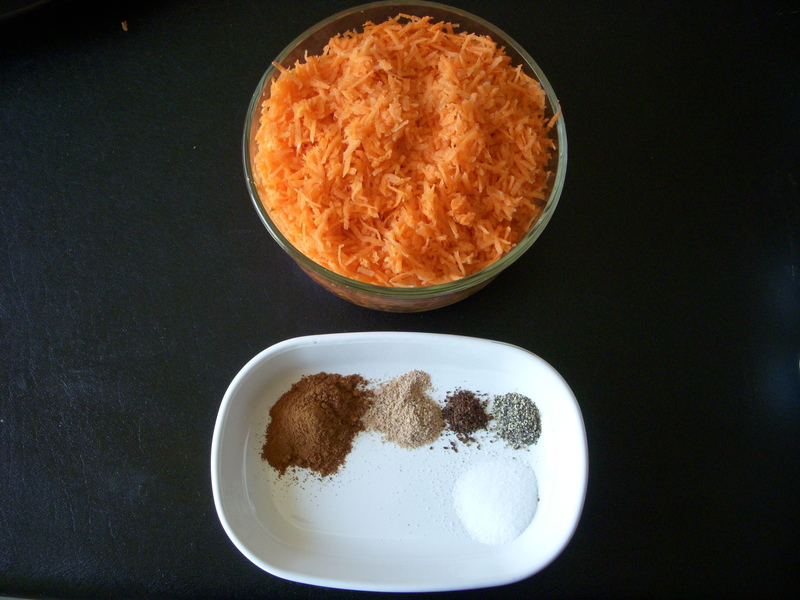 So when my step-dad mentioned his love of carrot cake, I was excited to make one to split with him. Not fair for him to get the whole thing. PS- Thanks for washing my car! 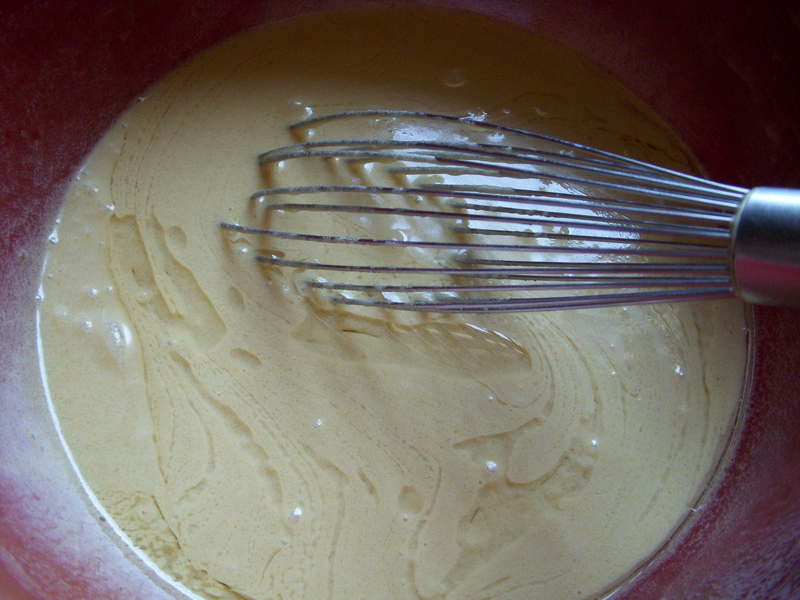 You’re going to need two mixing bowls, one medium and one large and an electric hand mixer for the frosting. 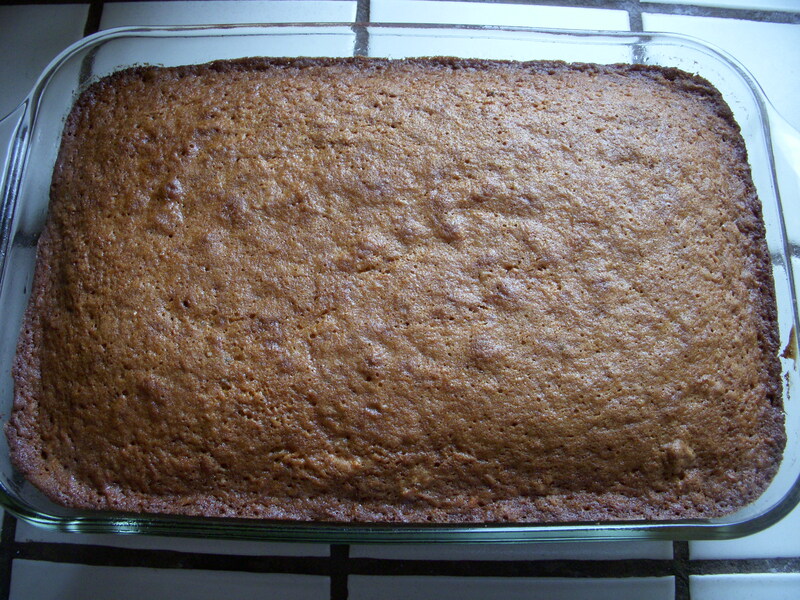 You’ll also need either 2 round cake pans or 1 9X13 inch pan to bake it in. 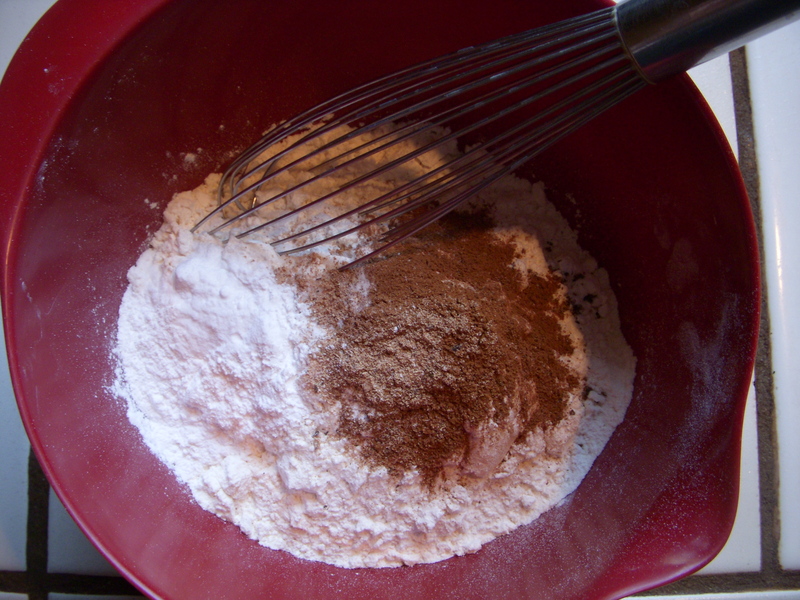 In the medium bowl, whisk together the flour, baking powder, baking soda, vanilla pudding mix, cinnamon, nutmeg, pepper, cloves and salt. Also known as the first 9 ingredients on the list! 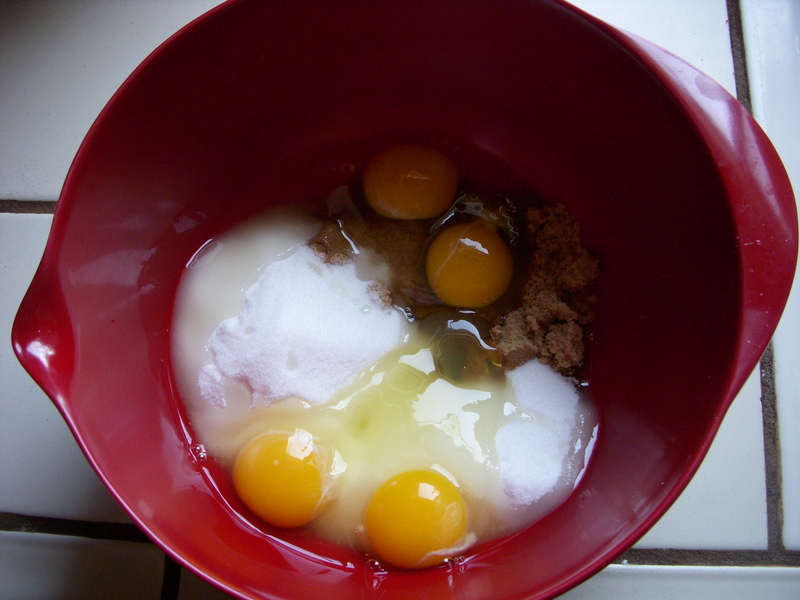 In the large bowl, whisk together the eggs, sugar, brown sugar, and milk. 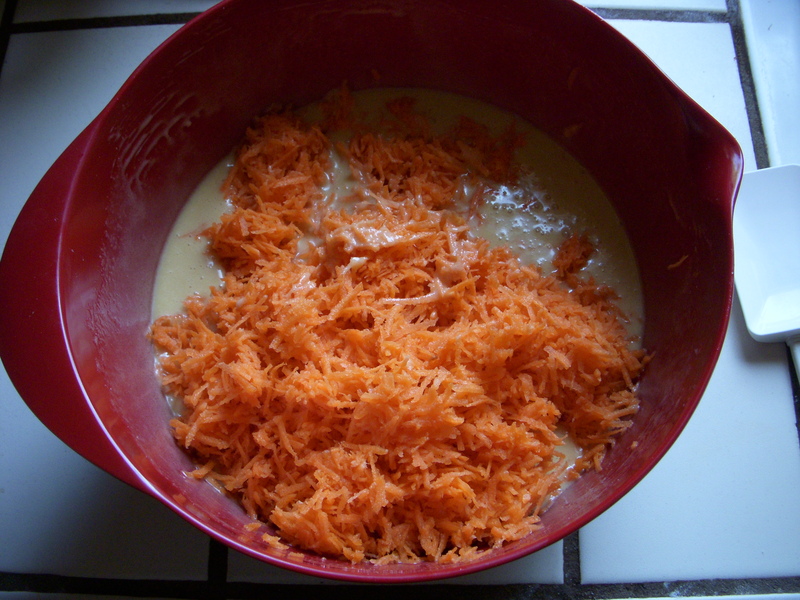 Time to stir in the shredded carrot. 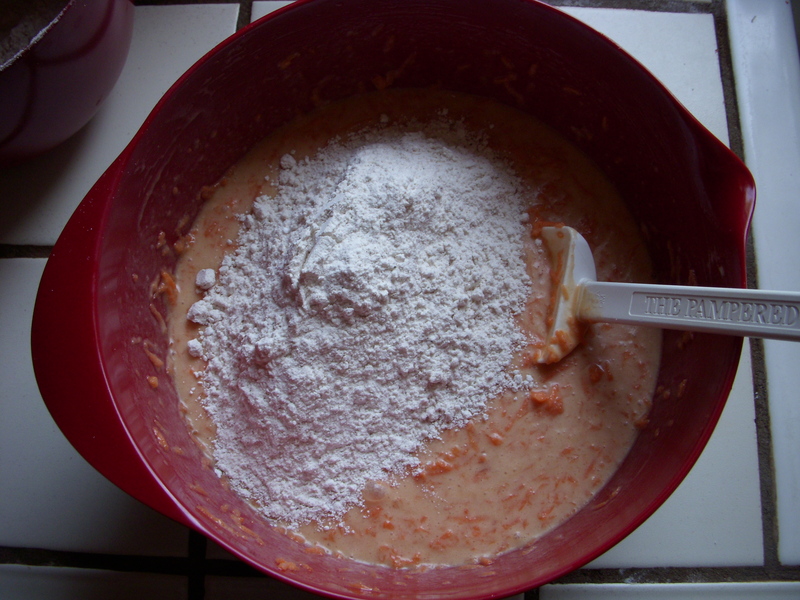 Then a cupful at a time, incorporate your flour mixture into the carrot mixture. DO NOT over mix. Stir until just combined. 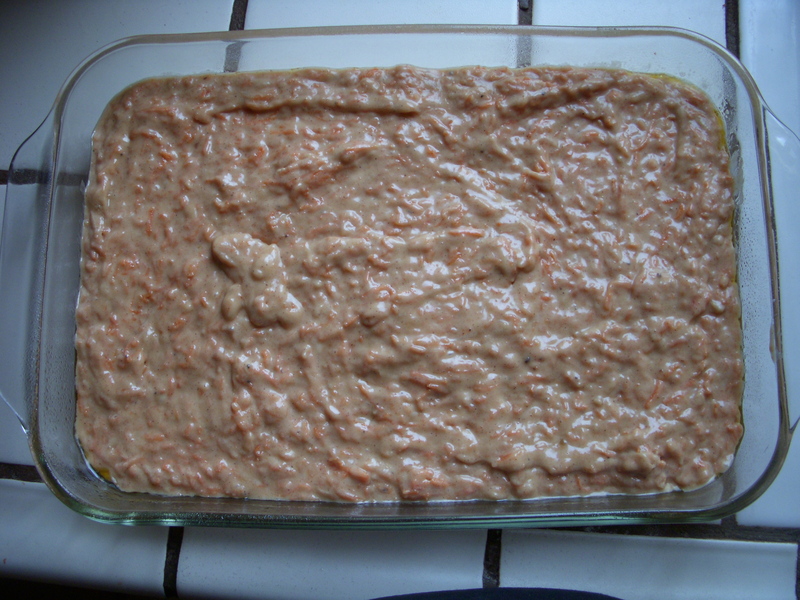 Then pour into the baking pan/s of your choice. 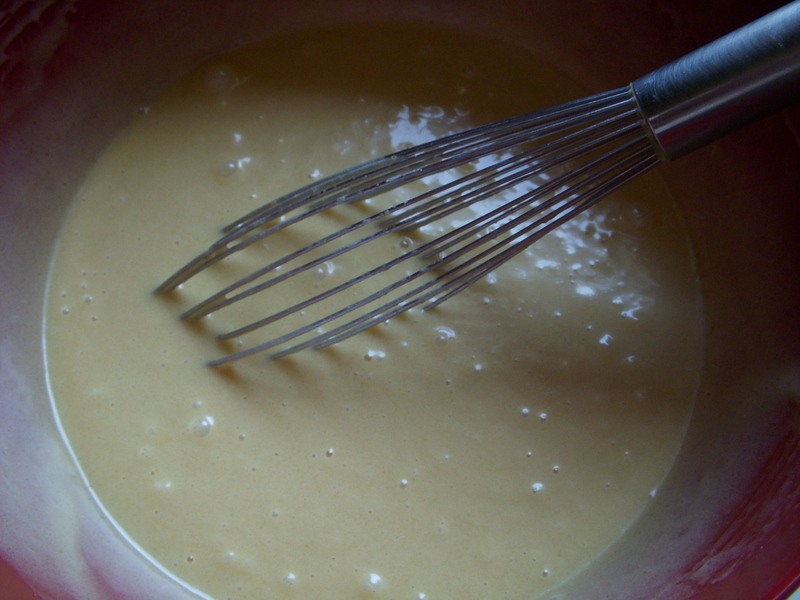 Bake for 35-40 minutes, or until a toothpick inserted into the center comes out clean. 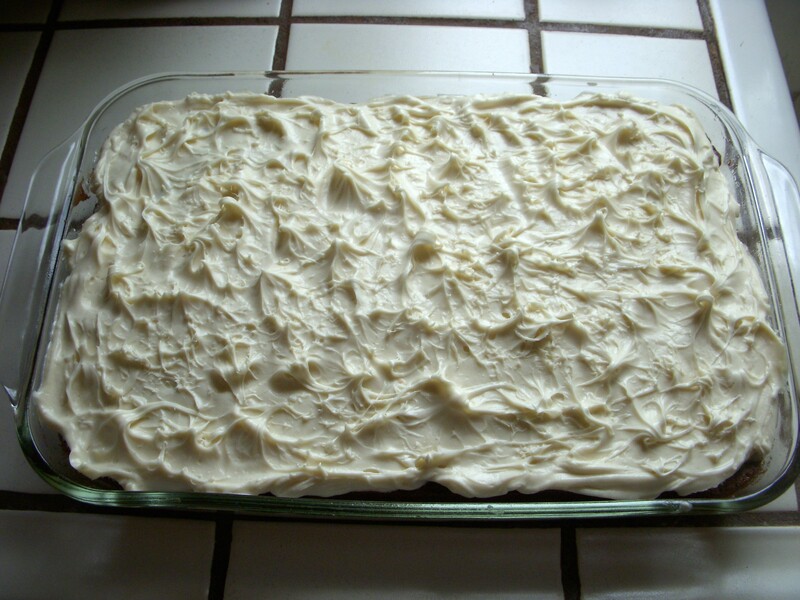 Let the cake cool before frosting. Be patient. This can take up to 3 hours!!! 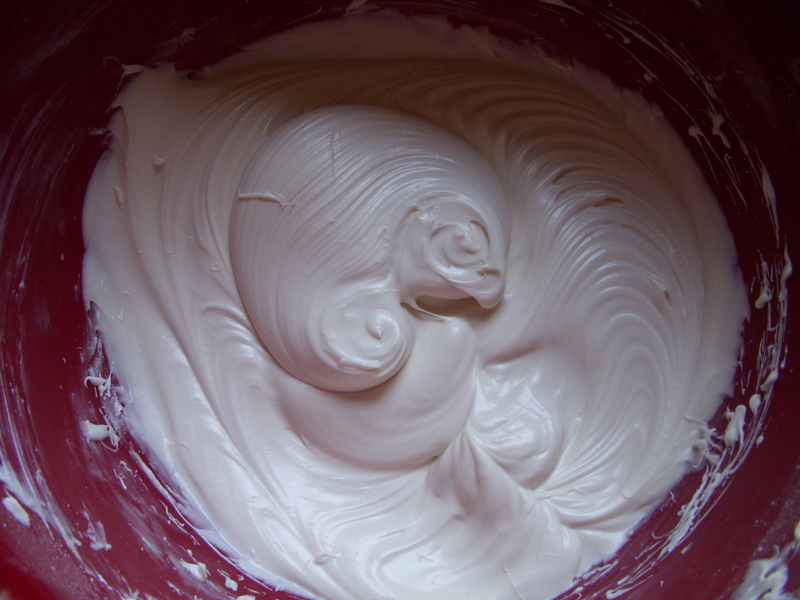 Wash out one of your bowls to use for making the frosting while you’re waiting. 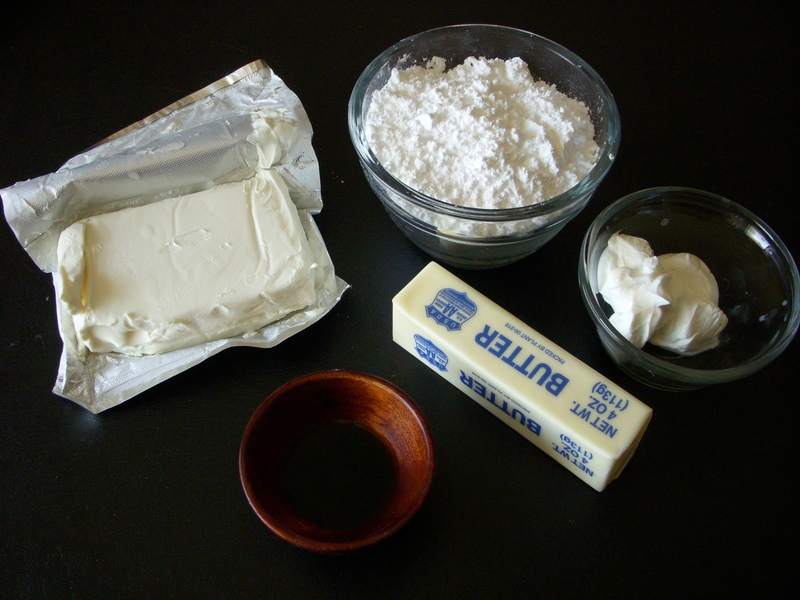 Or make this when you’re ready to frost the cake since it doesn’t take very long. 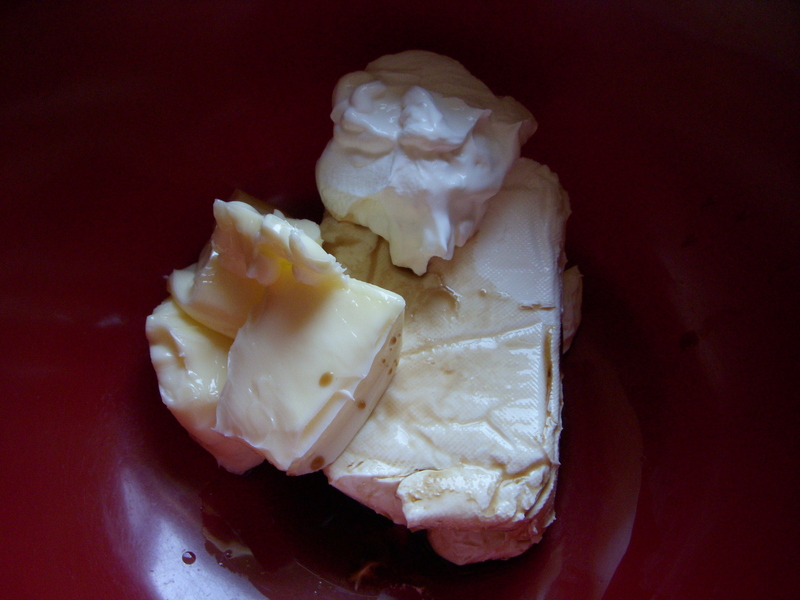 With an electric mixer on medium speed, beat your cream cheese, butter, shortening, sour cream, and vanilla. 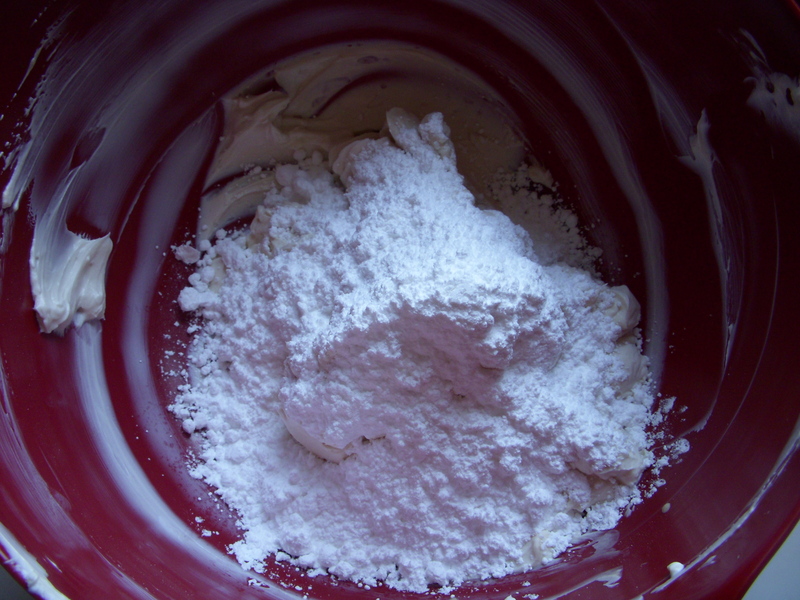 Once it’s smooth, scrape down the sides and add in your powdered sugar. Refrigerate while waiting for the cake to cool. Then it’s time to frost!!! The right side is MINE!!!!! 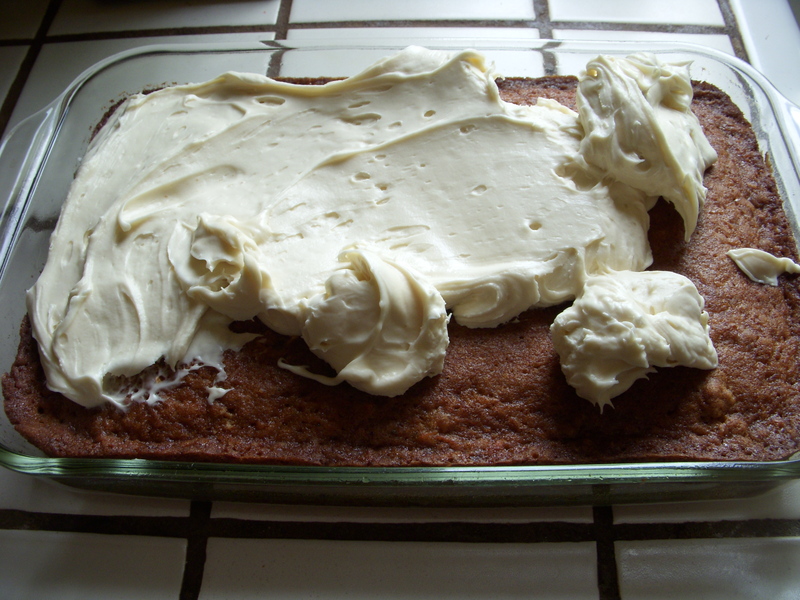 Well maybe the left too… ugh, I may have to make another cake.